The Minor Procedure Lights LED Luvis S200 has an advantage over other companies by providing a shadowless effect that offers less shadow even under a 50% screened condition. The S200 operating light also has a noise free cooling system, created by its fan-less structure that generates no heat or noise. With an adjustable size pattern of 18cm pattern for posterior and a 30cm pattern for anterior regions, the Luvis S200 surgical light is a cost effective solution. 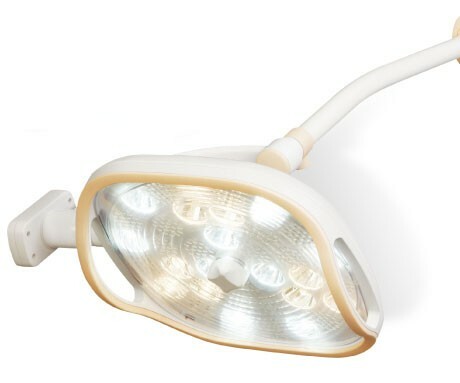 The Luvis S200 uses professional LED light sources, developed for the health of users ’eyes, considering clinical environment which requires sophisticated diagnosis and surgery. Luvis also creates eye protective surroundings, utilizing high CRI technology. It also provides daylight-like light, seen at noon, creating high color temperature at the same light intensity. Nonetheless, much less dazzling helps users to concentrate on surgery, minimizing eye fatigue. Luvis emits no ultraviolet and infrared lays, preventing skin-aging. 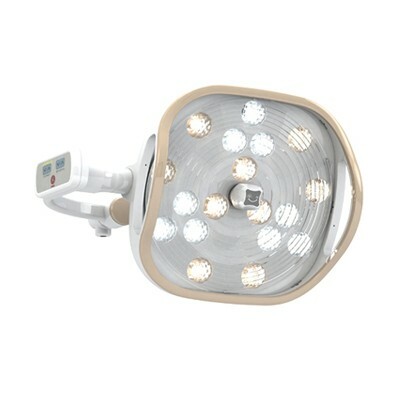 Dual head surgical lights measuring 20"